English Heritage has been engaged in work at Silbury since May 2000 when a vertical shaft originally dug in 1776 re-opened up on the summit. After temporary stabilisation, a major investigative programme revealed further local problems associated with lateral tunnels dug at the base of the hill in 1849 and 1968. After much public debate and scrutiny, a scheme for permanent remedial works was agreed and work was duly carried out between 2007 and 2008. The 2007/8 recording work identified numerous phases of the mound, suggesting that the archaeological stratigraphic sequence is considerably more complex than previously thought; the mound growing through many small events, rather than a few grand statements. 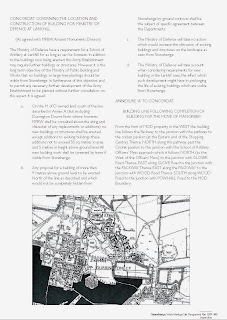 The digital archive reflects the work that took place from the shaft opening on the summit of the hill in 2000 to the 2007/8 excavations and the assessment and analysis stages that followed. (The Heel stone) has a remarkably peaked top, which is unlike that of any other stone there, and which gives a definite horizon azimuth. Is, then, the peak to be observed from the middle of the entrance, or from the slit between the middle trilithon? First, the entrance is 50 inches wide, and its middle is not easily settled without measurement; whereas the slit between the trilithon was only 13 inches wide, about the same as the peak of the Heel stone, the estimated middle of which would give a good definite azimuth on a length of 3400 inches. Next, the horizon is invisible at the entrance, the peak of the Heel rising far above it; and it is only on retreating up the slight rise, to behind the middle trilithon, that the horizon is seen on the level of the peak, by an eye at a fair height of 65 inches from the ground; behind the circle the peak is seen below the horizon. From both these reasons, it seems nearly certain that the point of observation was intended to be from behind the trilithon, to the peak of the Heel stone; as any place between the entrance and the trilithon shares the disadvantages of the former. I took a stroll into the circle to see the changes now and how the Heel stone rises up to the horizon as one walks in. The photos were all taken at approx 65" from gound level and can be clicked to enlarge. 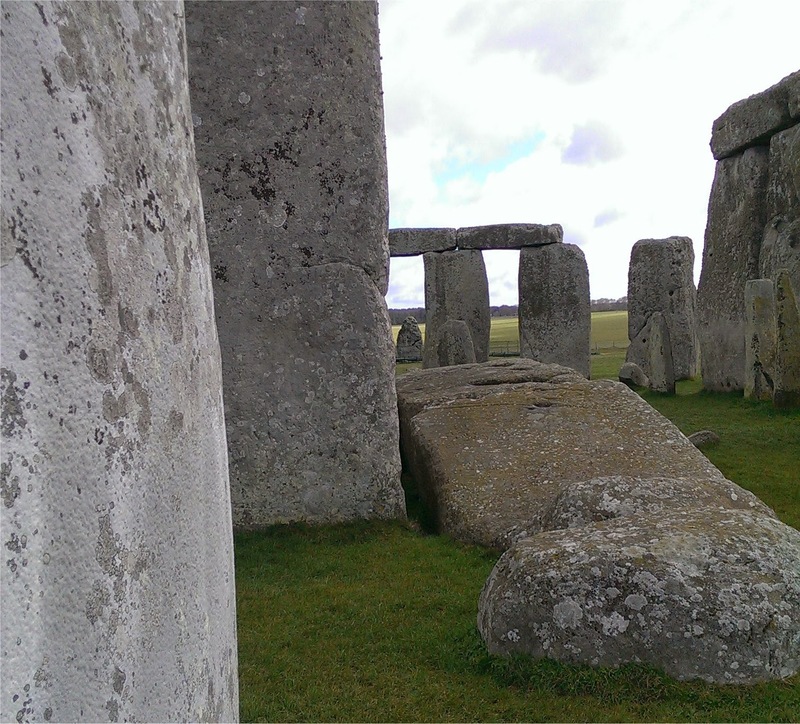 The University of Buckingham has introduced as part of its London-based Programmes a new research MA in Archaeology: Stonehenge a Landscape Through Time which offers a unique opportunity to study the subject of archaeology and the celebrated site. 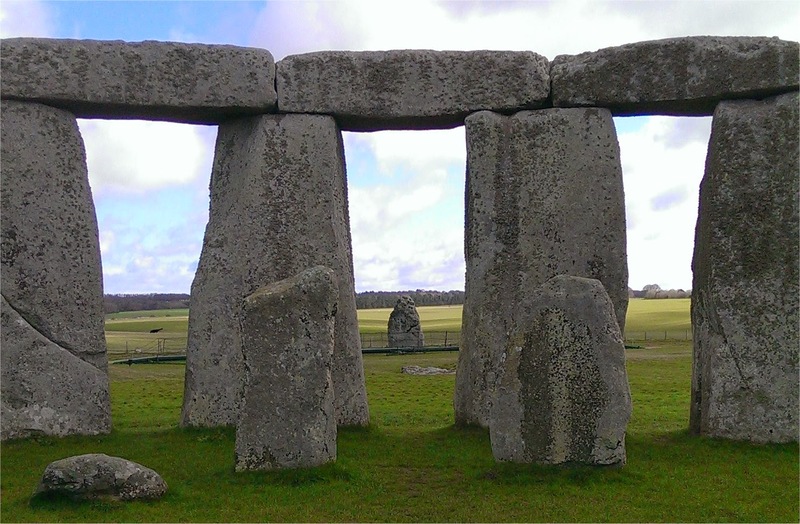 The World Heritage Site of Stonehenge has intrigued scholars for centuries, with each succeeding generation learning more about the site and its setting, amongst the other henges and richly furnished burial barrows located on Salisbury Plain. This groundbreaking London-based programme is led by David Jacques, director of the internationally significant excavations at Vespasian’s Camp, near Stonehenge, and supported by the latest generation of archaeologists to work in the area. Located just 1,500m from Stonehenge, and 500m from Blue Stonehenge, the Vespasian’s Camp site is providing new evidence for the first humans to occupy the Stonehenge landscape during the Mesolithic period. 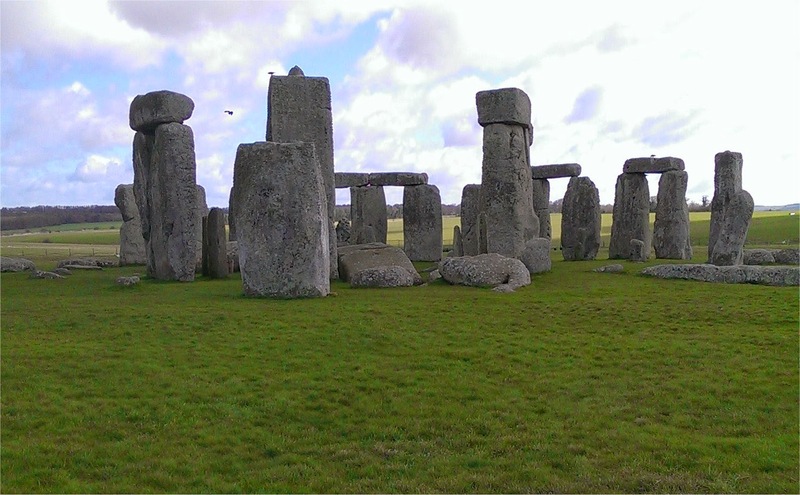 Tantalising new evidence from these excavations suggests that this site may begin to explain why Stonehenge was built where it was. There will be opportunities for students to take part in field work at the site as well as to visit the archaeological sites in the Stonehenge landscape. The programme runs from October 2014 to September 2015 and will consist of a series of ten research seminars, supplemented by two optional three-day weekend fieldtrips, each of which combines visits to major archaeological sites with first-hand fieldwork at Vespasian’s Camp, and two dissertation workshops. There will be a buffet dinner at the end of each seminar. Examination will be by original dissertation of no less than 20,000 words. The research seminar programme has two strands. The first offers a broadly chronological survey of British prehistory focusing on the internationally important landscape of Salisbury Plain and the Stonehenge World Heritage Site, enabling students to place their own individual research within the broader context of developments in human society and culture since the end of the last Ice Age. The second strand offers support to students considering how to devise a successful research project, and structure a dissertation. The seminar series complements their individual research project and dissertation; and at the heart of this MA is the close working relationship between student and supervisor. Dissertations may be either library- or fieldwork-based, and address themselves to any of archaeology’s sub-fields. While the final thesis topic is chosen by the student and must be an independent work, it is the supervisor who offers advice on refining the topic as necessary, on primary sources, on secondary reading, on research techniques and on writing the final text, which should be not less than 20,000 words. Supervisors and students will meet frequently throughout the year, and not less than twice a term; and the supervisor is the student’s primary contact for academic advice and support. This is a London-based course. The seminars will be held in the Wheeler Room within the handsome surroundings of the Society of Antiquaries in central London (Burlington Gardens, London W1S 3ES). The nearest London Underground Stations are Green Park (Victoria, Piccadilly and Jubilee lines), Bond Street (Central and Jubilee lines) and Piccadilly Circus (Piccadilly and Bakerloo lines). Each seminar lasts approximately 90 minutes and will begin at 18:30. The seminars are followed by a post-seminar dinner, for those who wish to attend, where there will be an opportunity to continue the seminar discussion in an informal environment. Part One: Fieldwork: Site visits and Excavations. There will be an opportunity to take part in two field trips each term, taking place over a long weekend – Friday, Saturday and Sunday. 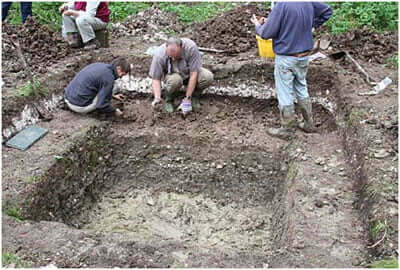 This element of the course is not compulsory and so will not be assessed, but for those intending to conduct excavations of their own, they provide the student with an indispensible introduction to the techniques involved in archaeological fieldwork. The cost of fieldwork transport, subsistence and entrance fees is not included in the course fee. Fieldwork will take place in October 2014 and spring 2015, and will be centred at the Vespasian’s Camp archaeological site, near Stonehenge. Full training will be given in field techniques by David Jacques and two other professional archaeologists, Tom Philips (Oxford Archaeology) and Tom Lyons (British Museum). During each weekend, students will also have the opportunity to take part in guided tours. Sites visited over the two weekends will include the World Heritage Sites of Stonehenge, and its associated Cursus, Avenue, and barrow fields as well as the site of Blue Stonehenge, Durrington Walls and Woodhenge. There will also be an opportunity to visit Avebury, Silbury Hill, West Kennet Long Barrow together with the Amesbury and Avebury Museums and Stonehenge Visitor Centre. Accommodation in Amesbury will be arranged and each weekend will include a dinner for all those taking part. Seminars will be held on Tuesdays at 18:30 and will be of 90 minutes’ duration. 7 October 2014. David Jacques (University of Buckingham): Course introduction. Professor Lord Colin Renfrew (University of Cambridge): Stonehenge and the radiocarbon dating revolution. 16, 17, 18 October 2014. David Jacques, Tom Phillips (Oxford Archaeology), Tom Lyons (British Museum): Fieldwork Weekend Number 1. 27 October 2014. David Jacques (University of Buckingham): The post-glacial occupation of Salisbury Plain (the focus will be on recent excavations of the Mesolithic site at Vespasian’s Camp). 4 November 2014. Professor Tim Darvill OBE (Bournemouth University): Neolithic Monuments: first phases of Stonehenge, long barrows, the early Henges, the Cursus. 11 November 2014. Dr Barry Bishop (Lithics Society): The development of prehistoric flint-work in the Stonehenge World Heritage site – changing uses and influences from the Mesolithic to Bronze Age. 18 November 2014. Dr Mark Bowden (Senior Investigator for Stonehenge, English Heritage): Bronze and Iron Age: later phases of Stonehenge, round barrows, defended sites ‘hillforts’: Vespasian’s Camp, Danebury and Old Sarum, Roman period. 25 November 2014 (TBC). Dr Nick Branch (University of Reading): Changing environments in the Stonehenge area from post glacial times to the Iron Age. 2 December 2014. Professor Peter Rowley-Conwy (Durham University): New approaches to evaluating the use of animals in the Stonehenge landscape in the prehistoric periods. 9 December 2014. Course Christmas Dinner. 13 January 2015. Devising a viable project: examples from different contexts and media. 20 January 2015. 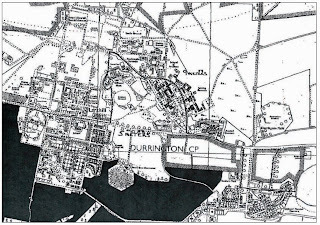 Recording and data analysis: field survey, object identification, use of library and archival sources including JSTOR, the Historic Environment Record and Portable Antiquities Scheme databases, statistical analysis for archaeologists, interpretation of aerial photograph and satellite imagery. 27 January 2015. Writing up and the production of archaeological knowledge. Guidelines for writing a successful dissertation. 17 February 2015. Dissertation Workshop One. 6, 7 and 8 March 2015. Fieldwork Weekend Number 2. 7 April 2015. Dissertation Workshop Two. The MA degree is awarded on the basis of the dissertation, which should be not less than 20,000 words. The supervisor provides advice in identifying and defining a research topic, assisting the candidate in locating sources and developing approaches to the chosen topic. Supervisors and students meet regularly, and the supervisor is the student’s primary contact for academic advice and support. Tuition fees and methods of payment, including discounts for advance payment, can be found on our postgraduate tuition fees page. The fees for 2014-15 for UK/EU students are £6,500 for full time students and £3,250 for Associates. Fees include seminar dinners and hotel expenses at Amesbury for full-time students and seminar dinners for Associates. 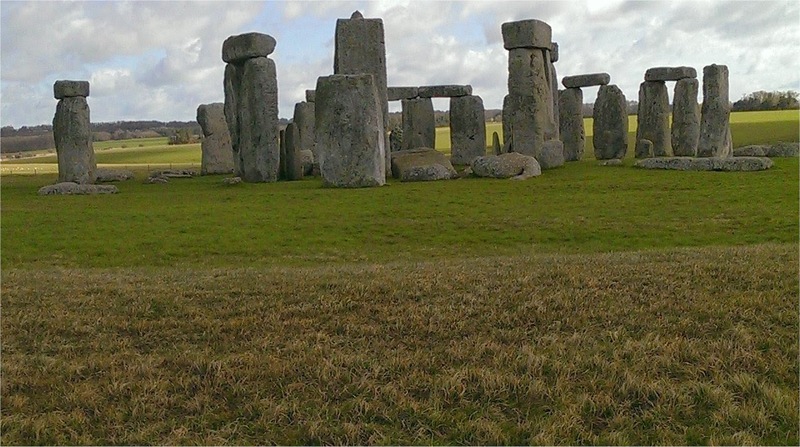 For those taking the course as Associate Students, this seminar programme may be enjoyed as a self-contained survey of Stonehenge and its landscape and of British prehistoric archaeology. This status will enable the student to attend the ten research seminars and take a full part in the seminar and buffet dinner discussions, as well as optional field trips, but does not require the submission of written work. Associate Students are not registered for, and do not receive, the MA degree. The origins of the Society of Antiquaries date to 1586 and the foundation of the College of Antiquaries, but it was not until 1751 that the Society was granted a Royal Charter and took on its present form. The role of the Society was, and continues to be, ‘the encouragement, advancement and furtherance of the study and knowledge of antiquities and history in this and other countries’. Since 1874, the Society has been based at Burlington House, Piccadilly, which also houses its museum, gallery and library. Jacques, D., T. Phillips & T. Lyons., “Vespasian’s Camp: Cradle of Stonehenge?”, Current Archaeology 271 (2012). For enquiries about applications: Claire Prendergast, School of Humanities, University of Buckingham. Tel: +44 (0)1280 820120; Email:claire.prendergast@buckingham.ac.uk. For enquiries about course content: David Jacques, Course Director. Email:david.jacques@buckingham.ac.uk. The Spring equinox falls on 20th March. A few dozen pagans and Druids will mark it with ceremonies inside the famous circle at Stonehenge. The summer solstice in June, on the other hand, will see thousands of people converge on the site. Why do they come? To connect with the ancestors? Celebrate nature? Rave? Does what they do bear any relationship to what happened at Stonehenge thousands of years ago, and can we ever know? Ernie Rea is joined by Ronald Hutton, Professor of History at the University of Bristol, Julian Thomas,. Professor of archaeology at Manchester University and Frank Somers from the Amesbury and Stonehenge Druids. 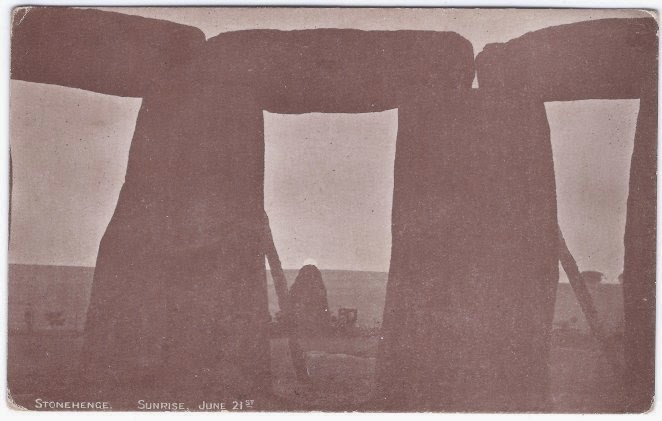 • Entrance to the monument and the Solstice Car Park will occur, simultaneously, at 1900h on 20 June. • Access to Stonehenge will cease at 0800h on the morning of 21 June and we respectfully request that all visitors vacate the monument at this time. • Permission to remain on the Solstice Car Park ceases at 1200h (noon) on 21 June. As this area of land is rented from a local landowner, it is imperative that this timing (as with all others) is adhered to, as our use of it is governed by certain conditions. As you know, English Heritage neither owns or has under its Guardianship any other land within the vicinity of the Stonehenge Triangle. Therefore its continued use is vital for the sustainability of this access period. • Temporary toilets (Porta-Loos) will be available for use at both the monument and the Solstice Car Park throughout the periods of access to the respective areas, as outlined above. This includes the provision of toilets for those with disabilities. 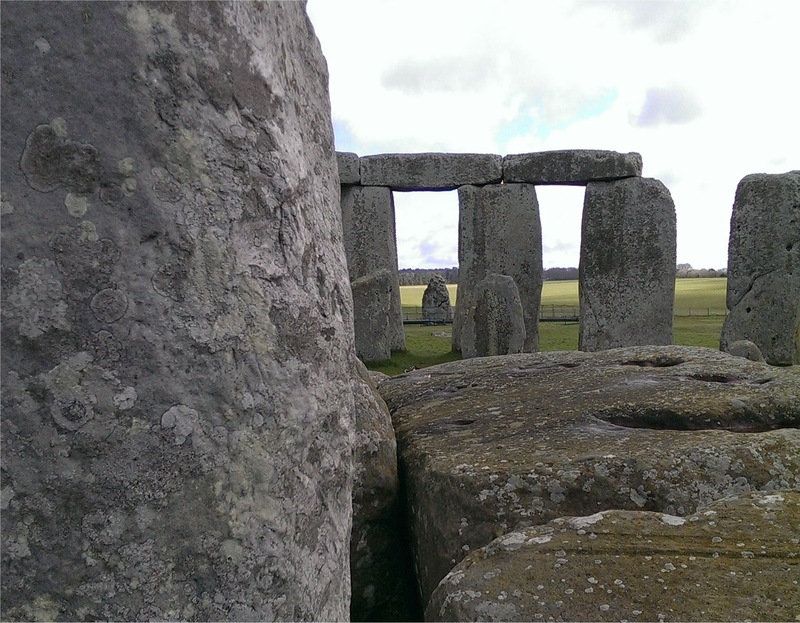 • The toilets and all other facilities at the new Stonehenge Visitor Centre will not be available for use by the general public throughout the period of the Summer Solstice operation at Stonehenge. • It is anticipated that, as in previous years, temporary TRO's will be applied for in relation to the closure of Byway's 11 and 12 over the period of the Summer Solstice. As of todays date, no applications have been submitted to Wilts Council for any such closures and therefore I am unable to provide Lois with an exact answer at this time. That said, as soon as an application is made, I will ensure that its' contents are disclosed at the Round Table meeting. • As you know, English Heritage is committed to taking all reasonable steps in ensuring that visitors with disabilities are not put at any disadvantage, over and above that of any other visitor. To this end, we always provide Disabled Parking facilities whenever possible, although, on occasion these can be somewhat limited in number. Those wishing to apply for a Disabled Parking Permit should contact lucy.barker@english-heritage.org.uk Due to limited numbers (as stated), permits for the Spring Equinox will be issued on a first come, first served basis. The Secretary of State for Defence announced in March 2013 the Regular Army Basing Programme (ABP). This sets out the future permanent arrangements for the Army as units move back to the UK from Germany and restructures to deliver its future operating model, via the Army 2020 strategic programme. This includes a concentration of moves in the Salisbury Plain area. 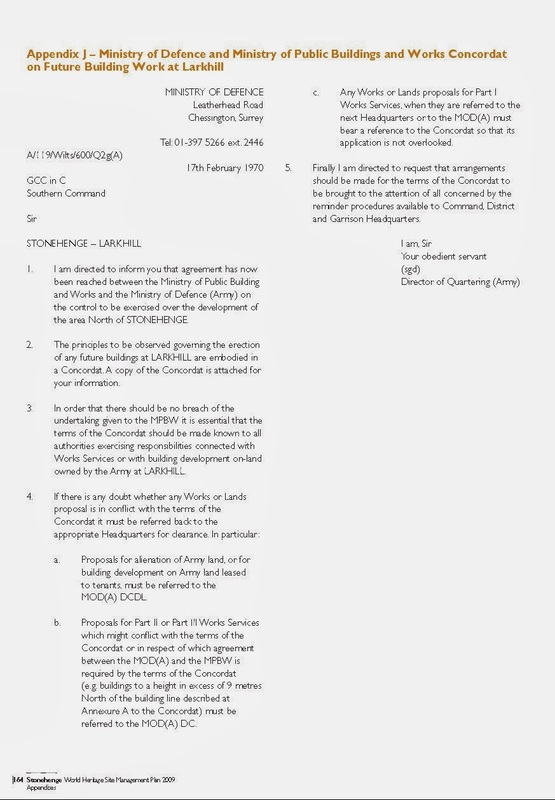 The Defence Infrastructure Organisation (DIO) has been liaising closely with Wiltshire Council since mid 2012 on preparing and planning for these moves. 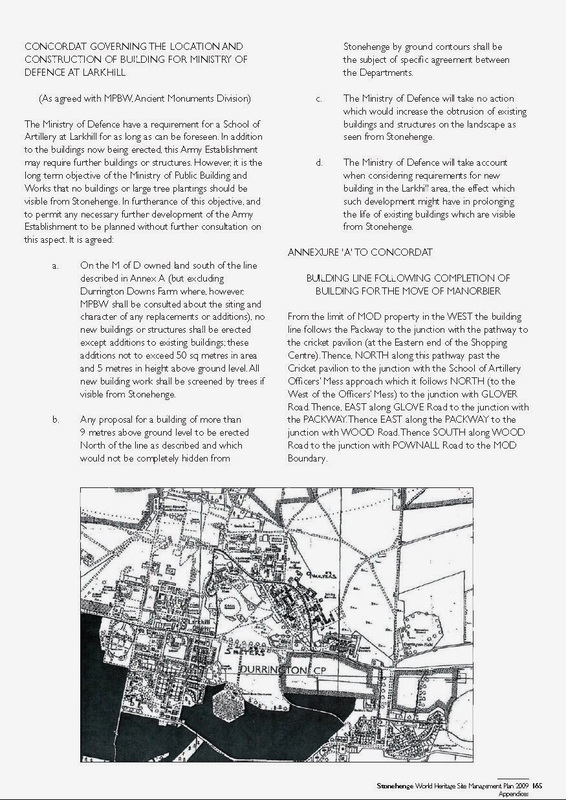 This document details how two of the potential areas for development would - if adopted - result in new buildings being constructed across the Summer Solstice Sunrise alignment as seen from the centre of Stonehenge. 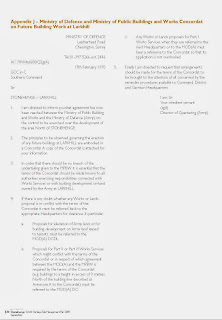 If you, like me, feel that this would amount to an unforgivable encroachment on the World Heritage Site then may I urge you to consider the evidence presented in this document and submit your comments before 1st April 2014 using the contact details provided below. The 'Managed Open Access' at Stonehenge for the Vernal (Spring) Equinox, will be from approximately 05.45 am until 08.30 on 20th March 2014. Summary: The MOD is consulting with people living and working around Salisbury Plain on its initial plans to accommodate troops returning from Germany. As part of the Army Basing Programme, 4,300 army service personnel and their families are relocating to the Salisbury Plain area. The Ministry of Defence (MOD) is consulting interested parties on its plans for the Salisbury Plain Masterplan which sets out proposed developments to support these moves. The masterplan will include provision for significant new builds and conversion of single living accommodation, new on site facilities and technical accommodation and up to 1,400 new houses for service family accommodation. 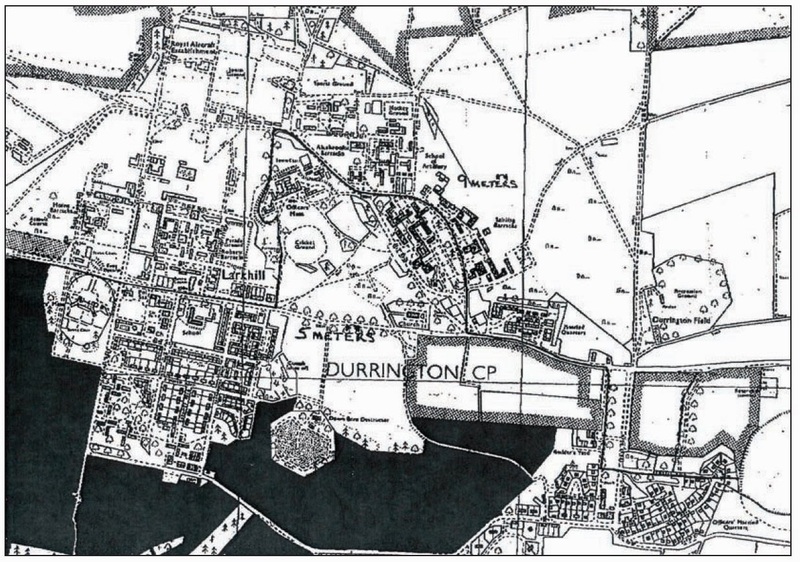 The masterplan will be supported by an Outline Environmental Appraisal.